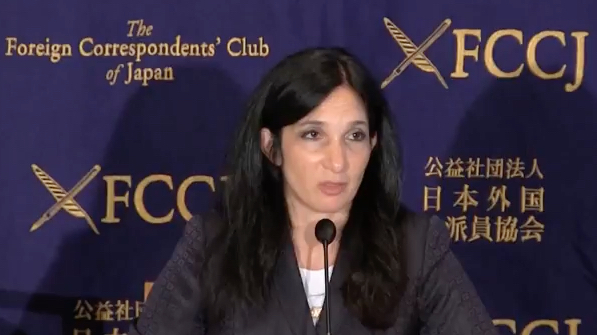 Nomi Prins joined The Foreign Correspondents’ Club of Japan in Tokyo to discuss the banking landscape and state of financial regulations in the Trump era. The central bank historian and financial expert also took a deep dive into the shifting relations between the United States and Japan and what easy money policy has meant for financial markets. Nomi Prins is a former Wall Street insider where she worked as a Managing Director at Goldman Sachs among other major financial outlets. She is also a best-selling author who wrote All the Presidents’ Bankers, a book that took on the hidden alliances between Wall Street and Washington. To catch the full discussion with Nomi Prins that covers central bank policy and what it means for the financial future CLICK HERE.